Police in Western Australia are at the scene of what they describe as a tragic incident at a home in the Perth suburb of Bedford. 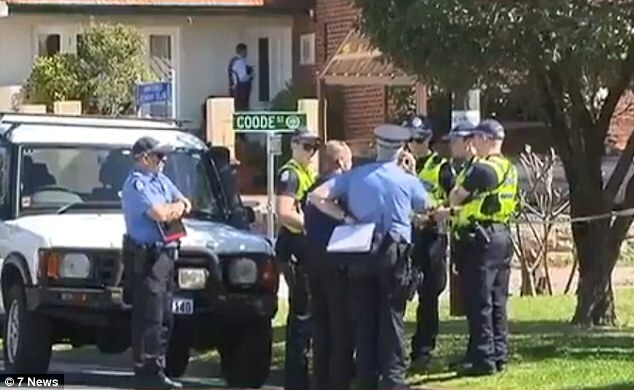 Police attended an address on Coode St in Bedford around midday AWST after a man presented himself to a regional Western Australian police station early on Sunday morning, Steel told reporters. Investigators are now searching the home for evidence, and police could not provide any further details on the victims. "There are no ongoing concerns for public safety as a result of this incident", police said. "It's just really sad that something like this can happen in such a quiet neighbourhood, it's horrid on every level. poor children", resident Maria Manfredini said. Entire blocks around the crime scene at the corner of Coode and Fort streets are cordoned off and dozens of police officers are at the scene. "The Homicide Squad will take control of the scene", he said. Neighbour Vagner de Souza said he regularly saw a family outside the house where the bodies were found. Steel stressed that this was very early in the investigation so he could not provide many details. It's understood children believed to live at the house included a three-year-old, and two 18-month-old twins.